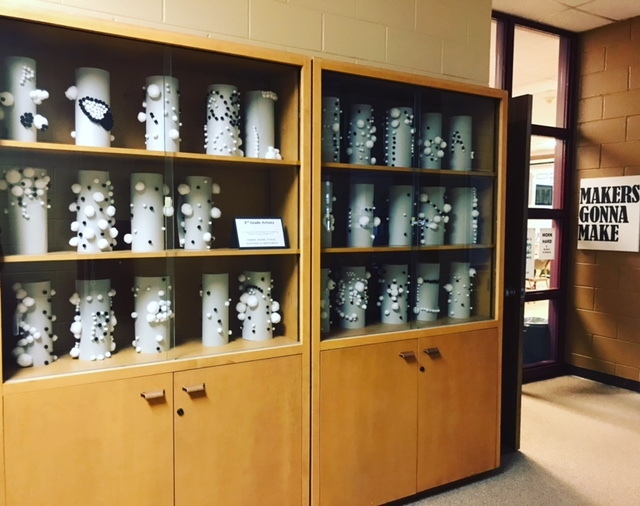 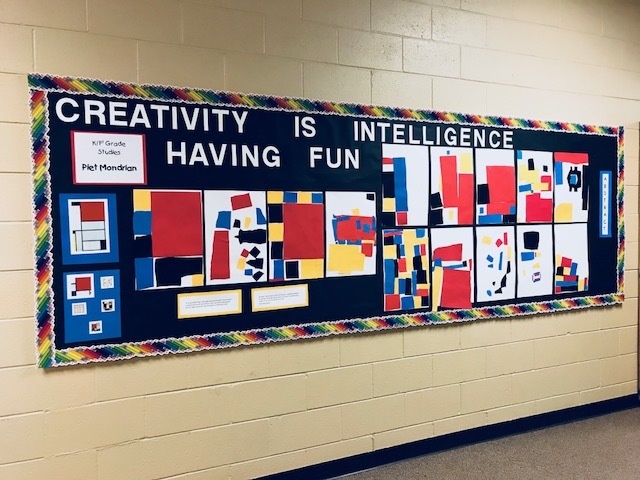 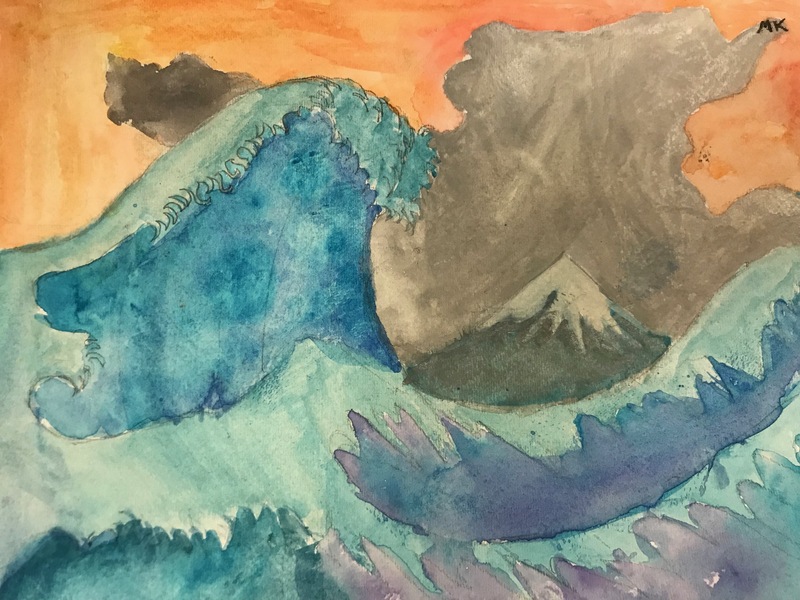 The Middle School Art elective students have been creating up a storm! 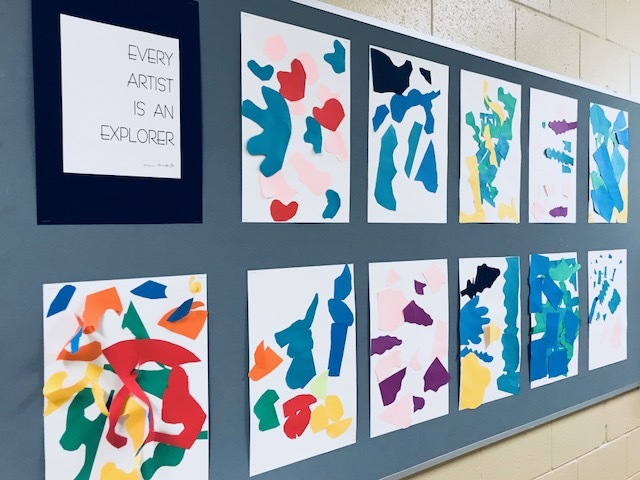 Recently, they spent time exploring the idea of rhythm in art and how that is communicated in various ways. 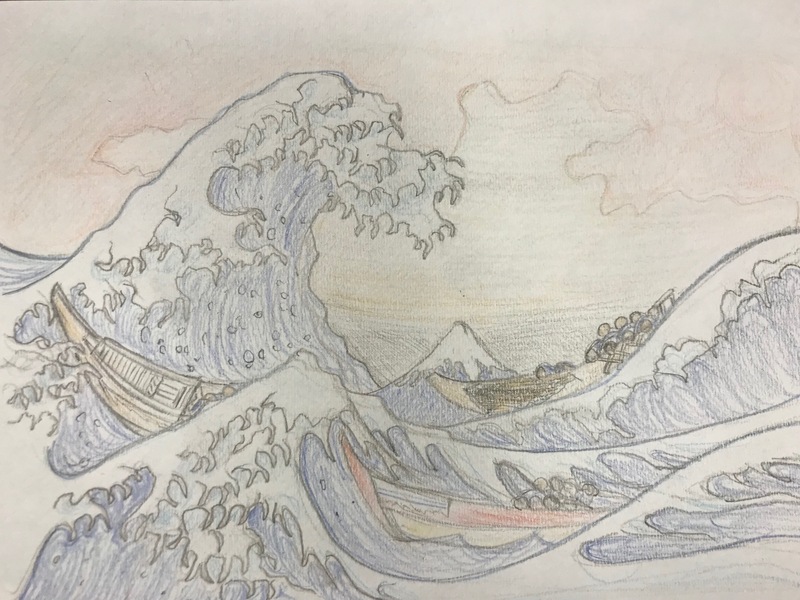 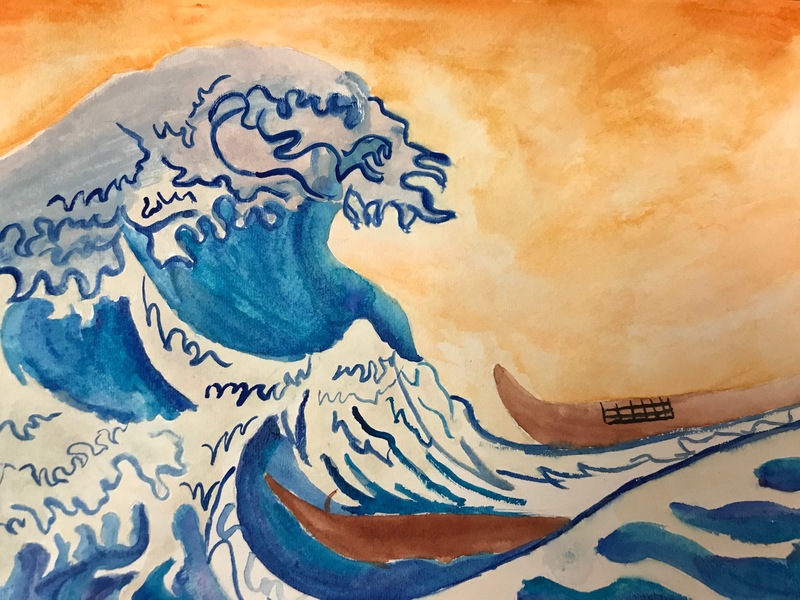 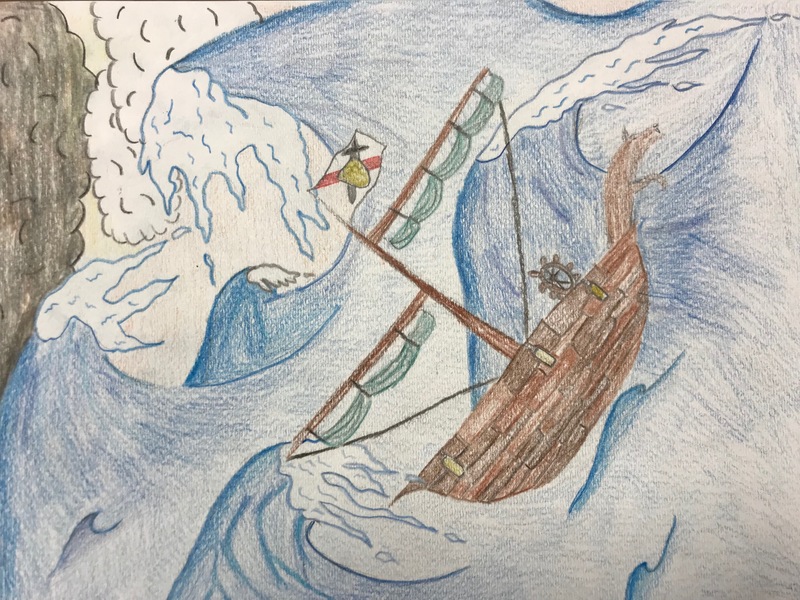 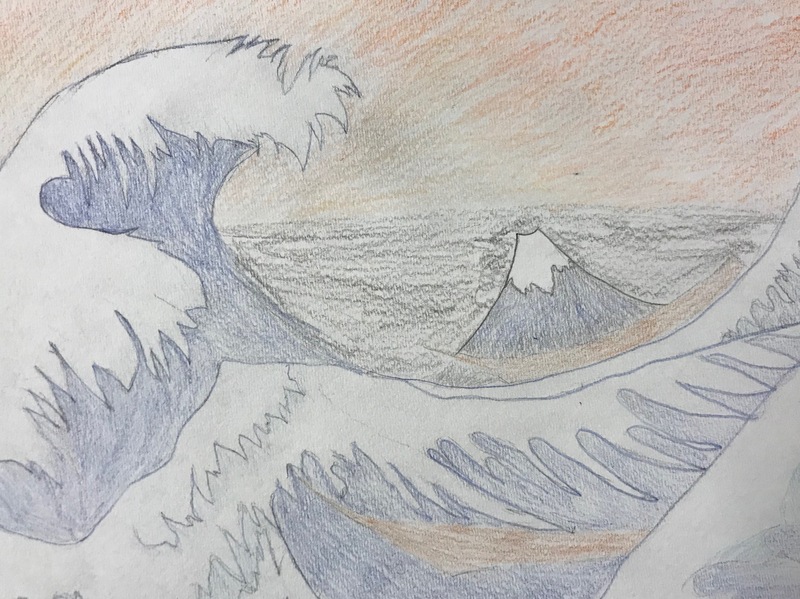 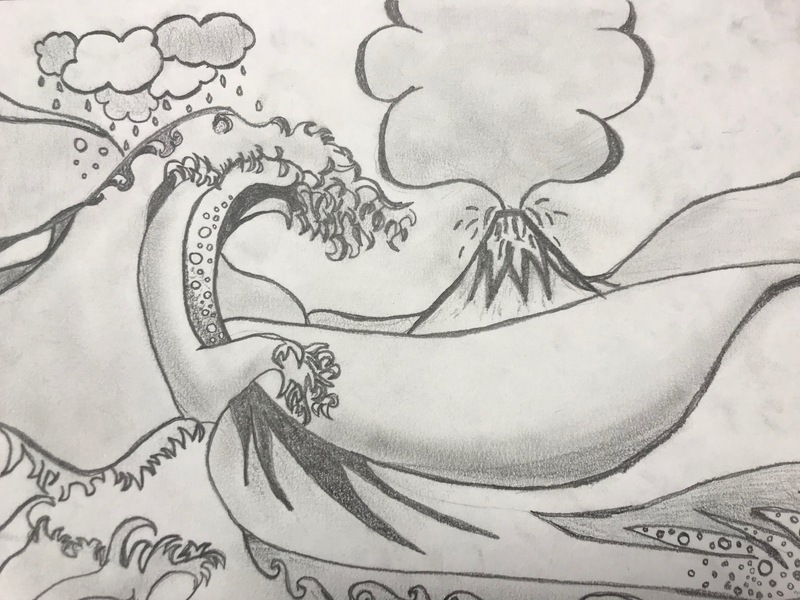 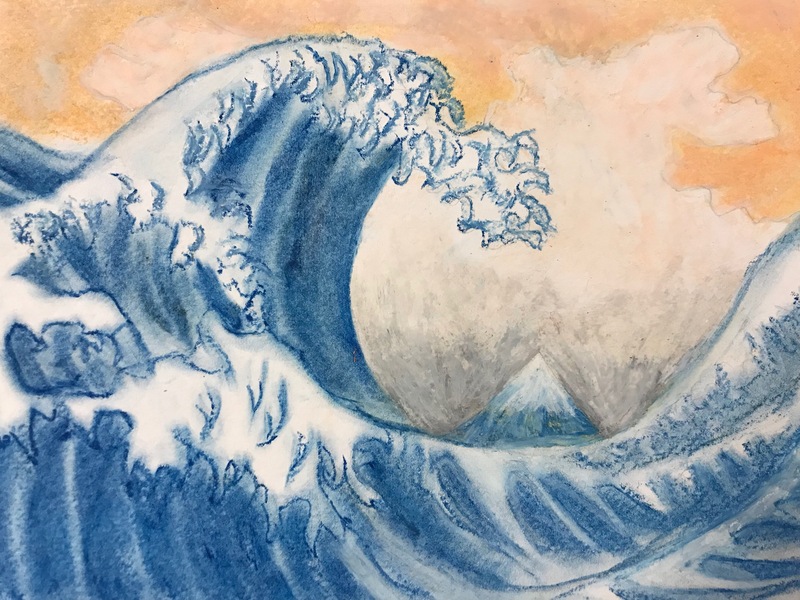 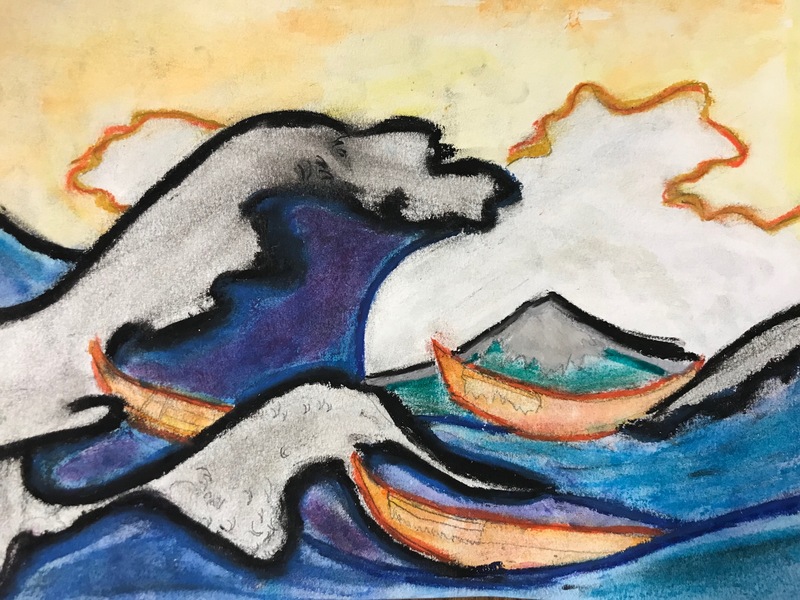 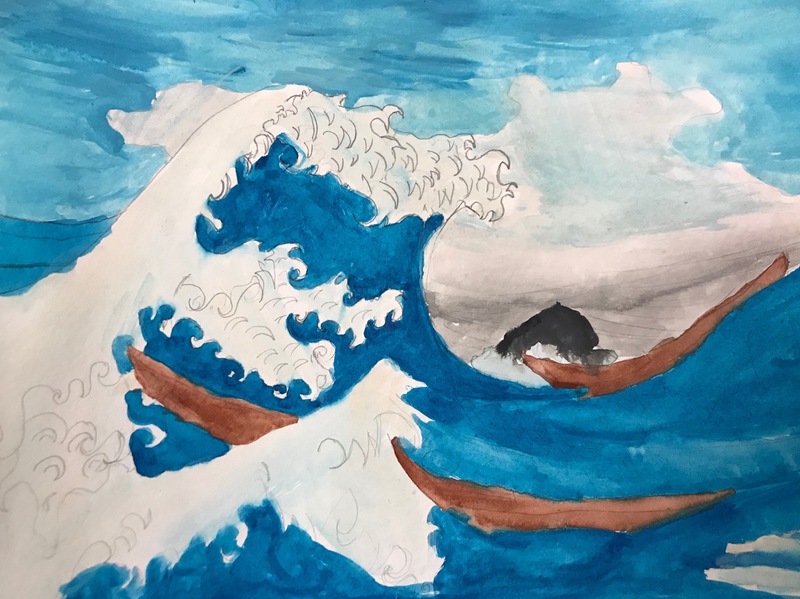 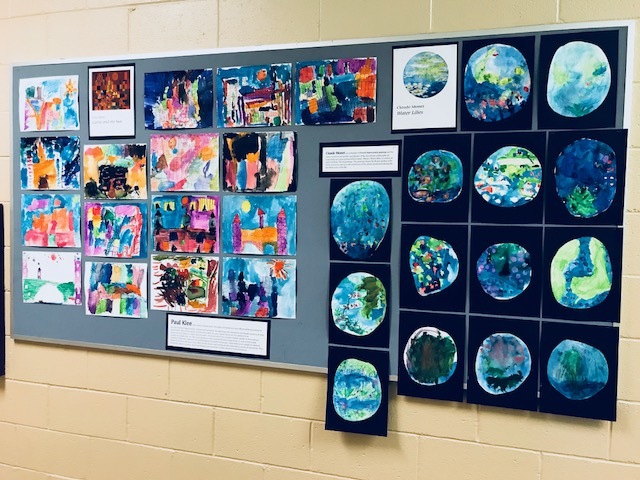 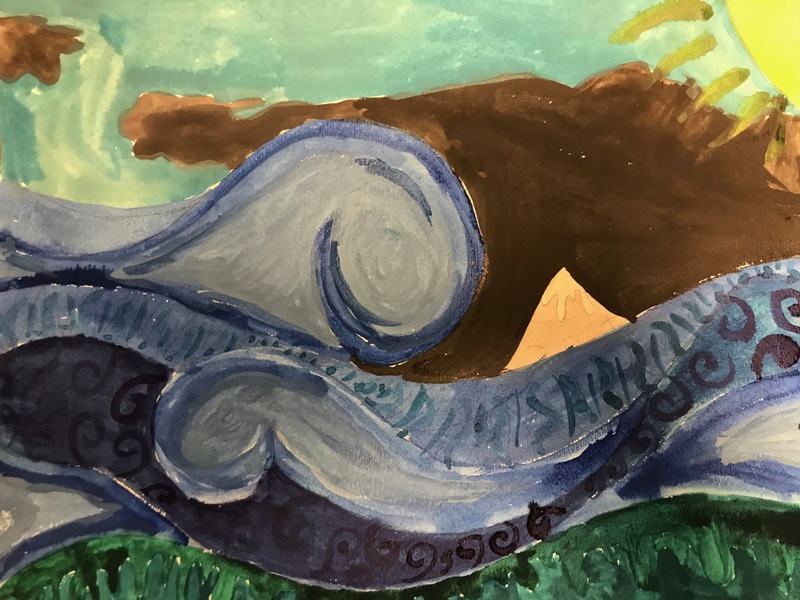 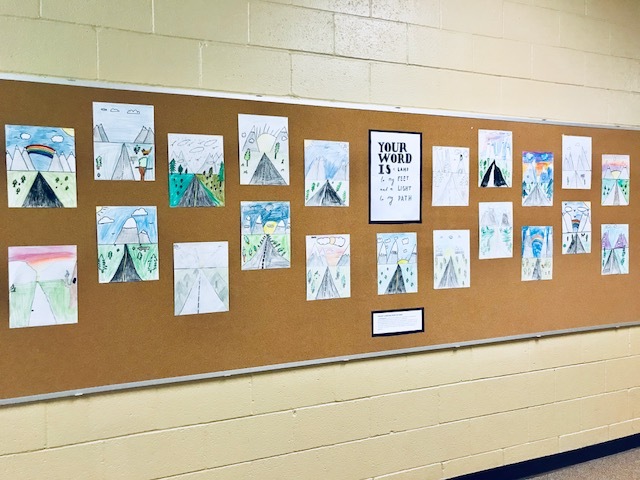 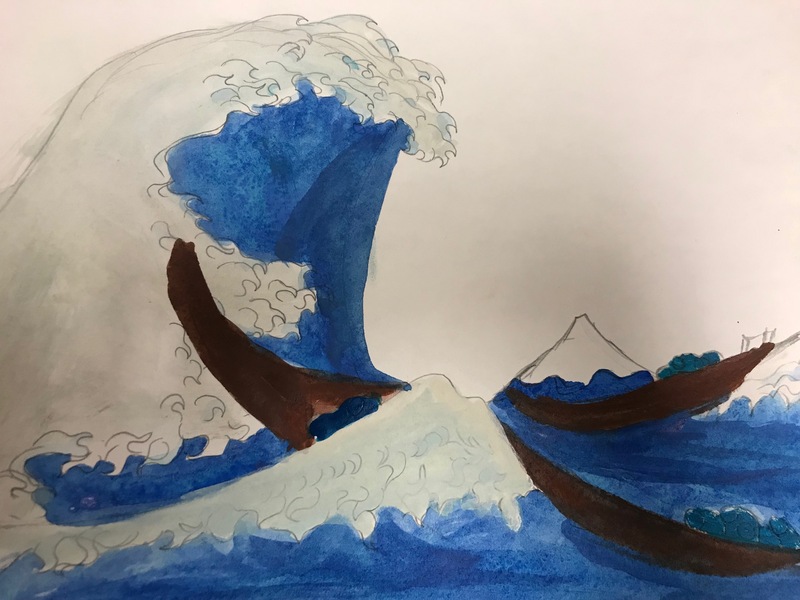 For part of this rhythm series, they learned about the print "The Wave off Kanagawa" or "The Great Wave" by Katsushika Hokusai. 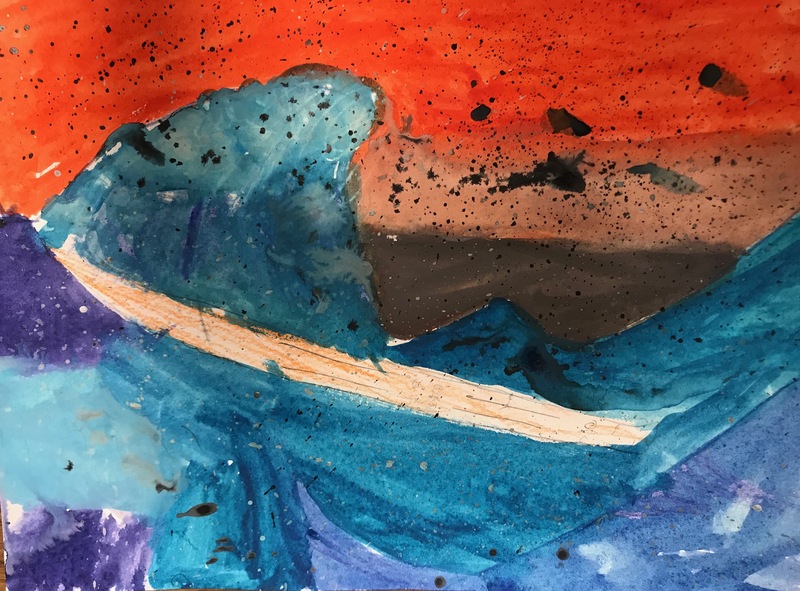 In this piece, the lines and shapes of the sea's waves give a strong sense of rhythm or movement. 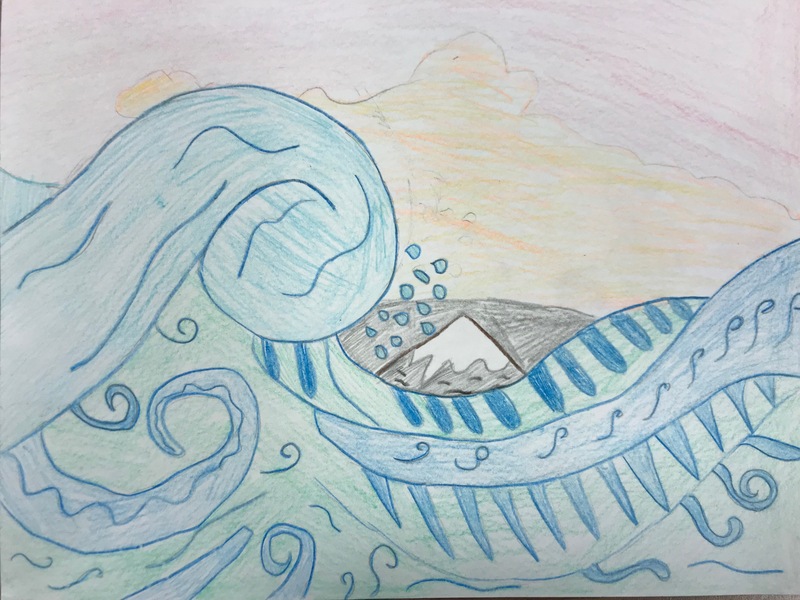 The students created their own wave pieces using their choice of materials to reflect this piece.